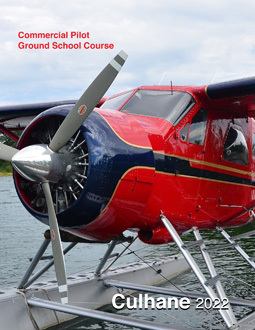 This useful self study course is dedicated to the CPL - Aeroplane standard and contains all required subjects to self study for the Transport Canada Commercial Pilot Aeroplane Written - CPAER. Our course is the leading CPL self study ground school course text in Canada since 1989. Our course text is filled with illustrations, chart extracts (in colour), exercises and complete instructions on complex subjects, all presented in a user-friendly format. An important feature of this course is that all subjects are number coded, internally cross referenced and indexed. Users that complete this self study course will have covered all mandatory subjects as stipulated in Transport Canada study and reference guides and will find it greatly enhances scoring prospects on the latest TC CPAER written. This text can also be used for those seeking to convert a United States of America Commercial Pilot Certificate into a Canadian CPL and contains everything needed for the FAACA conversionary exam in Section 1 of our text - Air Law and Procedures. ATTENTION HELICOPTER PILOTS! We offer dedicated Helicopter titles for the Canadian CPL-H and FAACH exam for conversion of an FAA certificate to TCCA Helicopter Licence.